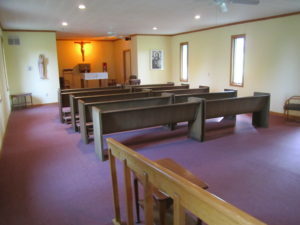 The Abbey of the Genesee is a community of monks dedicating themselves to the contemplative life of worship. We invite you to a place where you can relax, unplug, revitalize your spirit, rejuvenate your soul, and where you can withdraw from ordinary activities to commune with God. 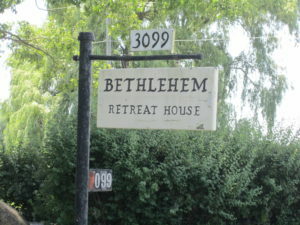 Bethlehem Retreat House is a short walk down the road from the Abbey along a wide and well-kept path. 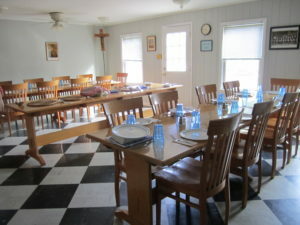 Bethlehem accommodates sixteen people, each with a private room. 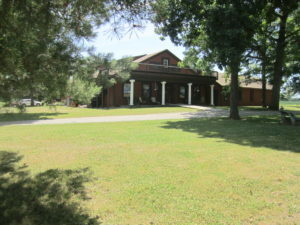 The first floor includes the chapel, the speaking room, a library, a reading room, the kitchen and dining room, the retreat house manager’s office, bathrooms with showers, and five bedrooms. Eleven additional bedrooms and a bathroom are on the second floor. 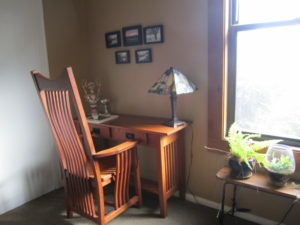 Each simple bedroom includes a bed, a desk and two chairs. Accommodations – Bed linens and towels are provided. 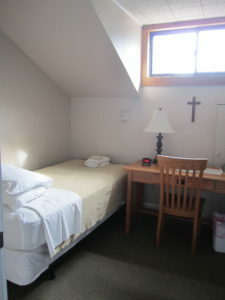 Retreatants need to provide their own toiletries: soap, shampoo, toothpaste, etc. Guests are asked to change their beds before departing. Everyone is free to participate in the conferences at the abbey and to join the monastic community for liturgy. Information booklets containing the schedule are available in the house. Experience a part of the world where peace resides. Throughout the day, your companions will be…scripture, God’s creation, your journal, and prayer. There will be opportunity to meet with a director for spiritual direction and prayer.